Arrive At Cochin Airport/Railway Station and transferred to Munnar.On the way visit Spice Plantations, Valara and Cheeyappara Falls.On arrival check in the hotel and relax for some time.Rest of the day is at leisure.Overnight stay at the hotel. After Breakfast proceed to full day sightseeing of Munnar which include Madupetty Dam & Lake, Eco Point, Nursery Garden, Photo Point, Eravikulam National Park famous for Nilgiri Thar Wild Goat then visit Anaimudi Peak South Indias Highest Peak and Tata Tea Museum.Later back to the hotel .Overnight stay at the hotel. After Breakfast check out the hotel and transferred to Thekkady.On arrival check in the hotel and relax for some time later take a boat safari the Periyar Lake through Periyar Tiger Reserve and visit Spice Plantations.In evening visit bustling Spice Market in the Kumily village for shopping.Later back to the hotel.Overnight stay at the hotel. After Breakfast check out the hotel and transferred to Alleppey.On arrival check in the House boat and relax for some time then take a Cruise through the unique web of lakes, lagoons, canals and river then Visit Paddy Field, Kuttanadan Region the only region cultivate rice below sea level.Evening is at leisure . Overnight stay at the hotel. 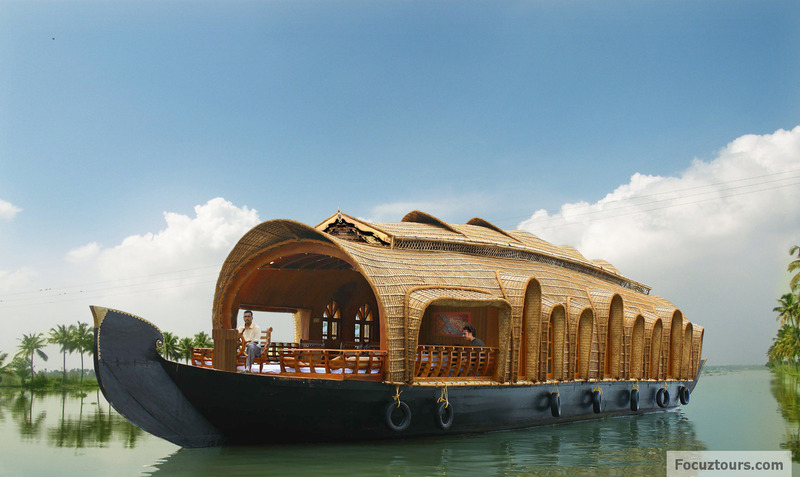 If you have not decided yet or wants to customize tour itinerary or hotels listed above in "Binary Deep Kerala Tour Package From PackNGo Holidays", then we can change the travel itinerary and make a personalized, tailor-made holiday package, especially for you. We can modify this travel package as per your itinerary, budget, duration and the tourist places you would like to visit, including transportation and airfare should be included or not. Please fill the form below to contact us.